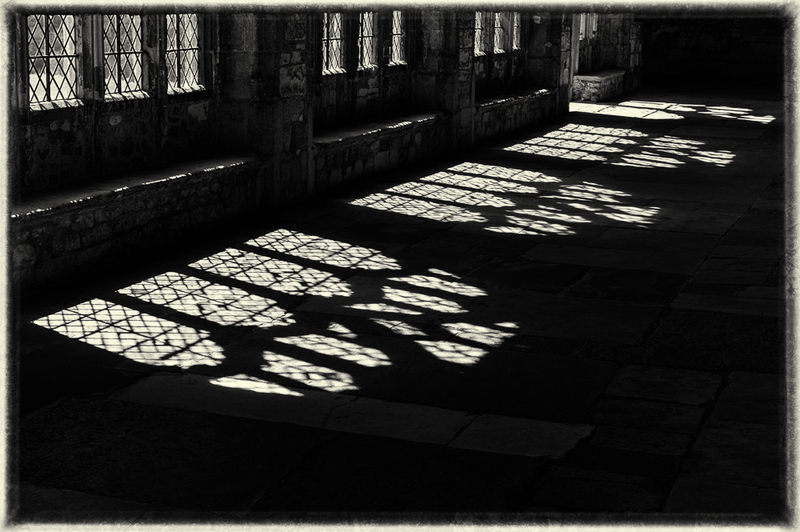 In my last post ‘Shadows of the Wanderer’, the shadows referred to people or refugees, whereas in this shot made on the same day, shadows are formed by the strong sunlight as it pierces through the leaded light mullioned windows of the cloisters in Chichester Cathedral. To emphasise these shapes of light I have increased the contrast, darkened the foreground, obliterating any detail in the flagstone floor whilst retaining minimal information in the wall and around the windows themselves. Do click on the image to view a larger version which will open in a new window. Thank you. Kind of you to comment.